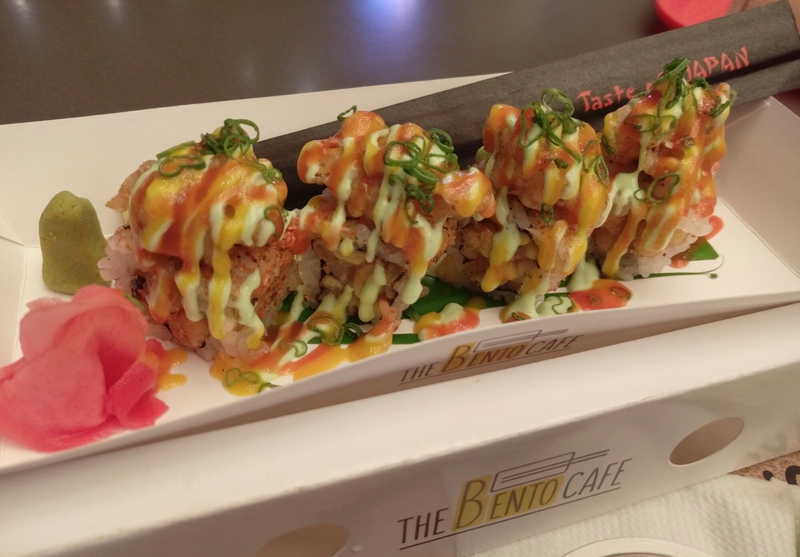 The Bento Cafe at Dlf Mall of India is a good enough place for anyone who loves Japanese food or would like to have something quickly. To answer this we need to go back in history of a Bento.” Bento is a single-portion takeout or home-packed meal common in Japanese cuisine. A traditional bento holds rice, fish or meat, with pickled or cooked vegetables, usually in a box-shaped container. Containers range from disposable mass produced to hand crafted lacquerware. ” thats what you will find on Wikipedia. The interesting part is that Bento box had been used in Japan for over 1000 years. The Bento is believed to have originated way back during Kamakura period (1185-1333) in Japan. And the preparations were made with rice which was tried to eat as it is can be boiled in hot water to consume. 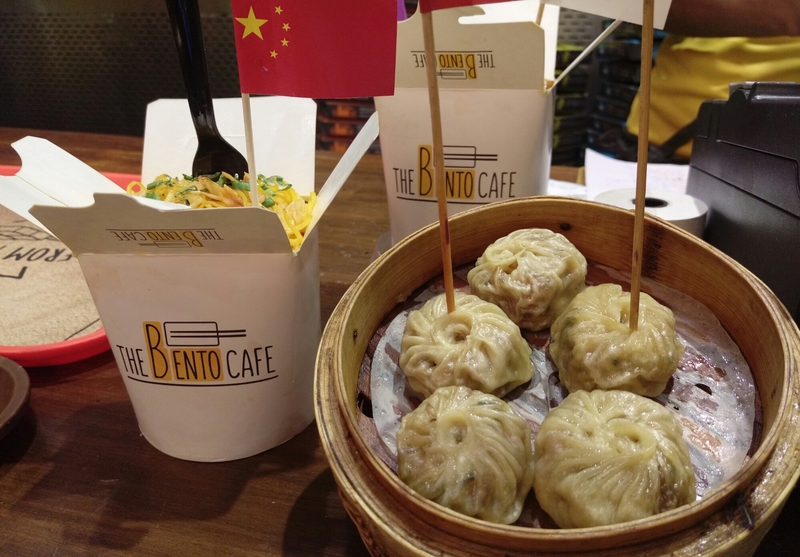 In just 400 years of its origin Bento boxes have evolved as Waist Bento amoung sightseers and traveller’s. And in 1912-26 these boxes became luxury for many with a style statement with designer aluminum a thing to flaunt not just carry your food around. And this became a convenient way to carry food to school by student, but eventually it become a big issue because of kids carrying luxury Bento with rich food and few kids carrying the normal food in a not so good looking box. Thus after World War II the schools started providing same Bento to all kids and teachers. Isn’t it surprising how food and how food is carried creates a social inequality. Step 2: Choose your mains : I choose Veg Kung Pao( this has nothing to do with Akka Pao from Mumbai). Step 3: Get a Free salad. Well this is not a step it’s complimentary food. 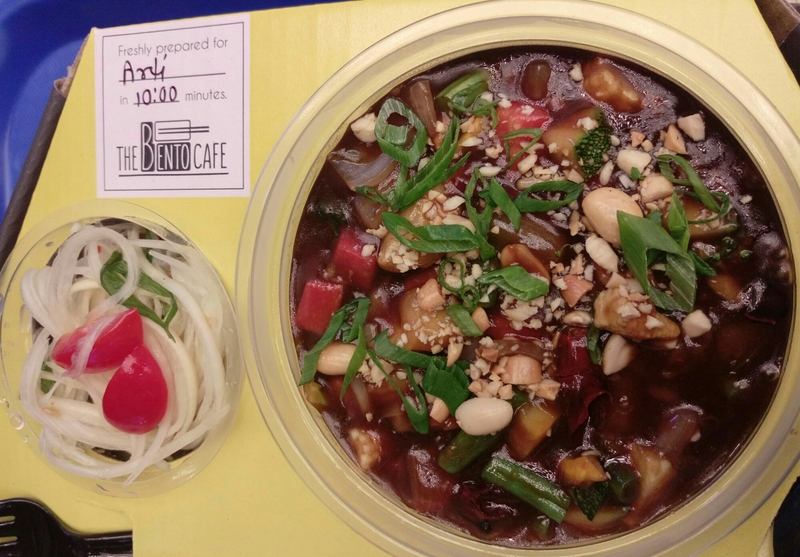 Here it is Thai Som Tum Salad. 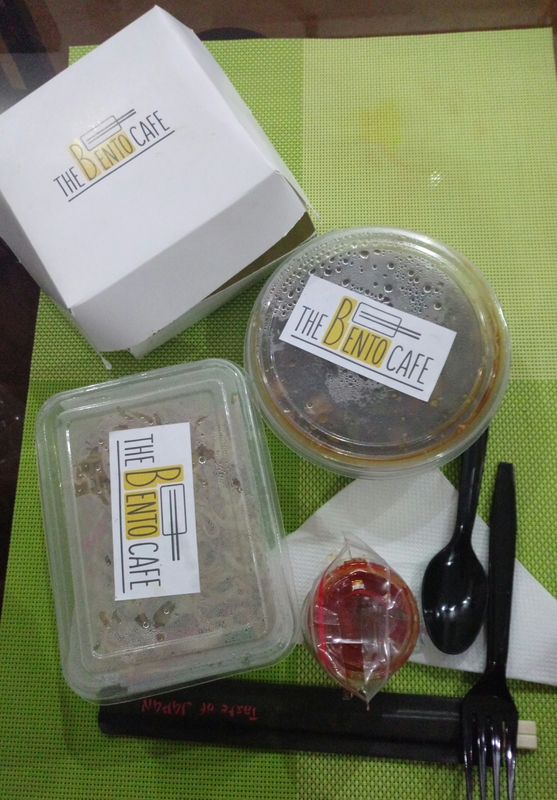 And that’s how your order comes if you are having it there and these boxes are take away if you are not able to consume the food completely. Just tell them they will lid the remaining portion. Best part about your order is your box has got your name and how much time it took to make it. Isn’t it insightful , not that this actually matters but it gives you a sense of time and off course speak a lot for their time management. While I saw the salad I was quite disappointed with the portion size but then it clicked it’s free. 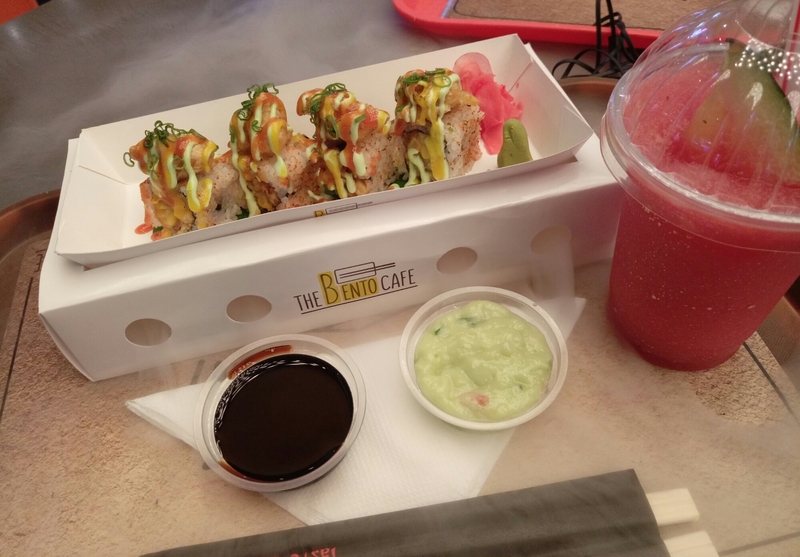 But as I started having it I realized it looked less but it was more filling and very delicious and when I said the same thing to the staff who gave me my next order of Sushi , he was so sweet to ask if I want more of it. How Sweet. And the Salad is also slightly sweet as it comes in a salad syrup thin strands of raw pappaya almost like noodles. So if you are eating at a Japanese cuisine and don’t have Sushi then in my books its a crime. Ordered for my all time favorite sushi- Rock Corn Tempura. This was served with some molecular twist with fumes of liquid nitrogen in the box. Why is it called Tempura? 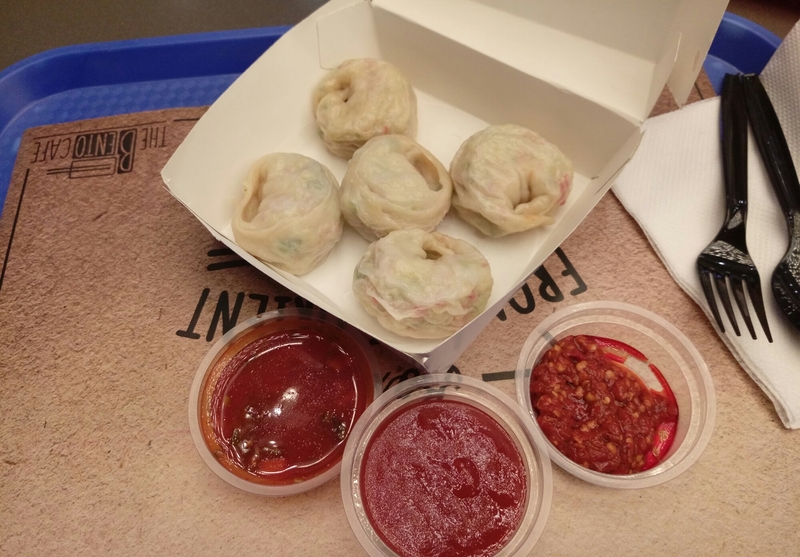 Well , Tempura is a Japanese version of India Pakoda. So literally Tempura is a Japanese dish that can be veg or non veg as fish or vegetables that are battered and deep fried. Yes so it’s akka Bhajiya. So this Sushi was topped with really good looking sauces and topped with Christy corn Tempura. And the sauces are really strong with a pungent garlic taste so be careful. 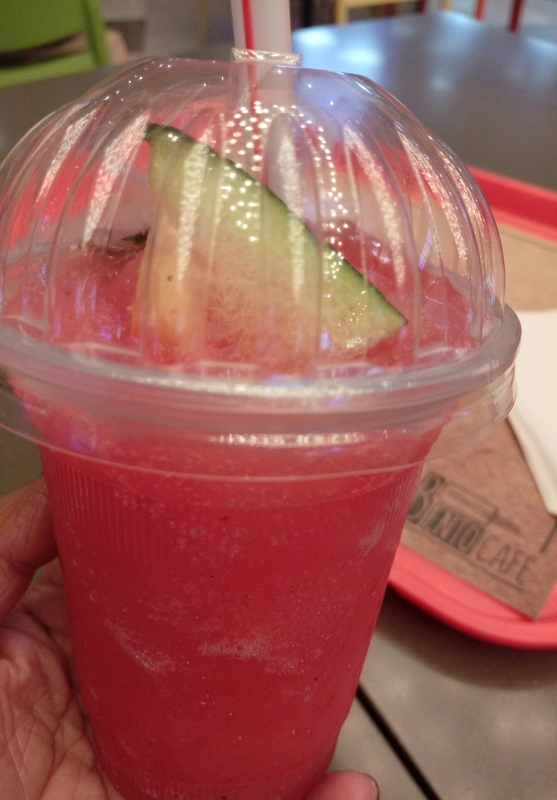 And I had this with #Watermelon 🍉 Kafir lime slush. And after having so fungerlicking good high on spices food, came time for something sweet yeah! Dessert time. 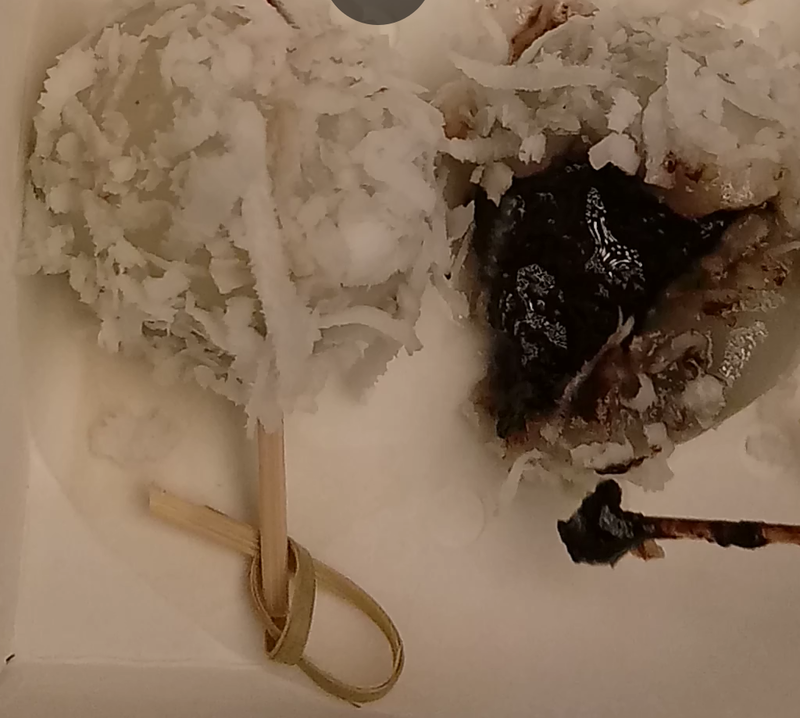 Hmmmmm Yuuummm that’s what I can say about this coconut loaded dessert, melting choco in a thing film of dumpling rolled over grated fresh coconut. Simply yum yum and truly a drool worth foodgasm. Okay if you are feeling that I had too much, not really as I got my Bento packed after having to my appetite. So loved this concept of taking away in the boxes. 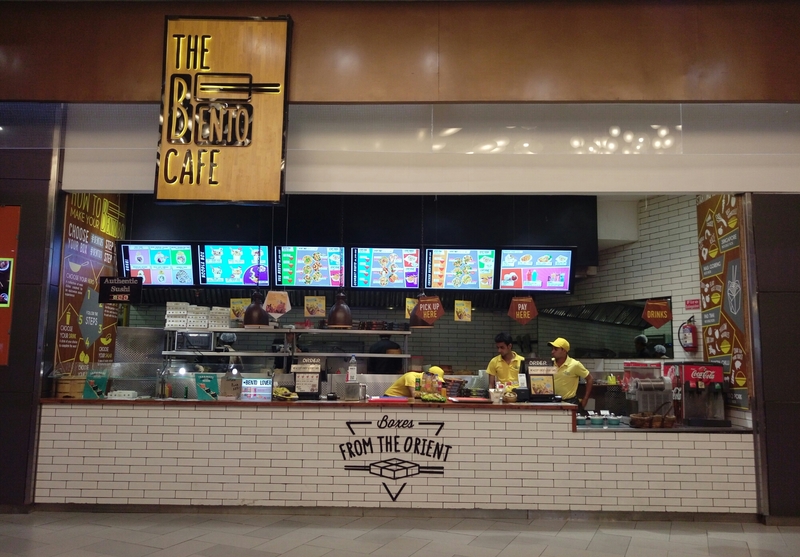 Overall a great place and lively counter. 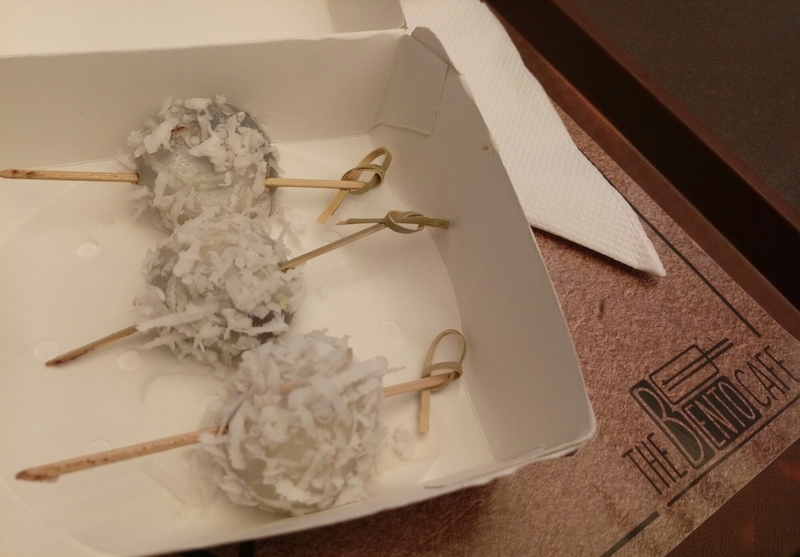 This is now my favorite place for my love for coconut and Melting choco dumplings that has it loaded with the right kind of chocolate which is not over sweet and not to strong either mild and light sweet chocolate just as I like it. 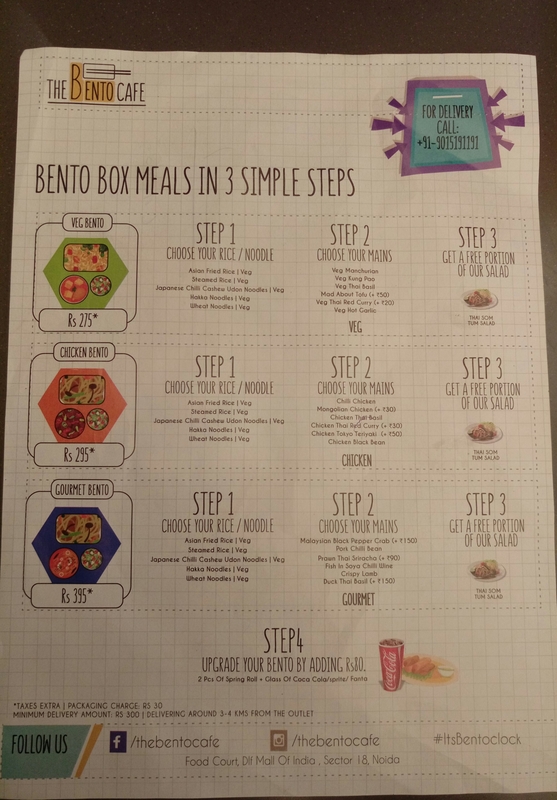 Bento boxes. I would love to eat one. Not the box of course. Nicely crafted article with loads of information. 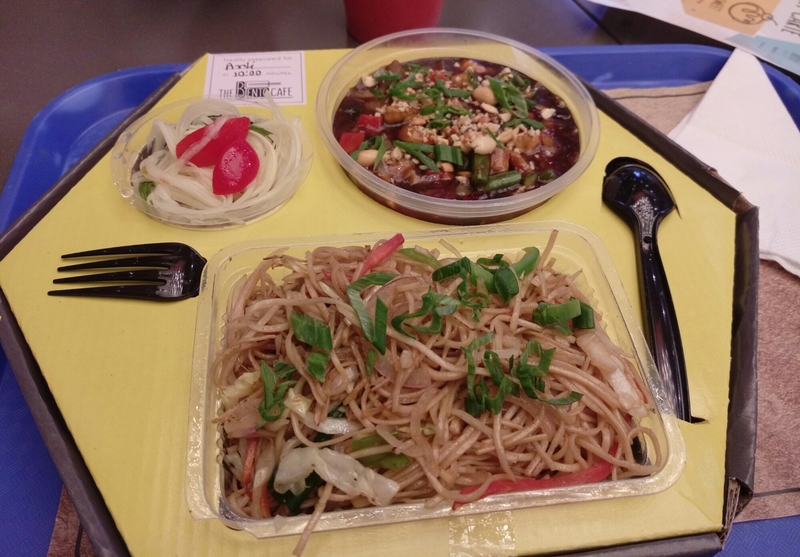 Being in Japan I had never encountered history of Bento though it is part of day to day life. Would certainly visit DLF to experience Japan in our own India. Arti-san thank you so much for writing such a nice aricle and letting people know about Japan food and its glimps of culture.